No vaccine is available to prevent plague and according to The Sun News Paper the deadly disease has now spread into South Africa, Mozambique, Tanzania, Kenya, Ethiopia, Comoros, the Seychelles, Mauritius and Reunion. after taking root in Madagascar. HEALTH experts are warning there is “something different” about a new Black Death outbreak spreading across the world and that is because Red Cross officials have said the situation is particularly worrying because pneumonic plague, which is spread from person to person, has occurred for the first time in non-endemic areas and crowded cities. More than 70 percent of the cases are the pneumonic form which is fatal within 24 hours and no known cure if the pneumonic strain is not treated directly. The Black Death is thought to have originated in the arid plains of Central Asia, where it then travelled along the Silk Road, reaching Crimea by 1343. From there, it was most likely carried by Oriental rat fleas living on the black rats that were regular passengers on merchant ships. 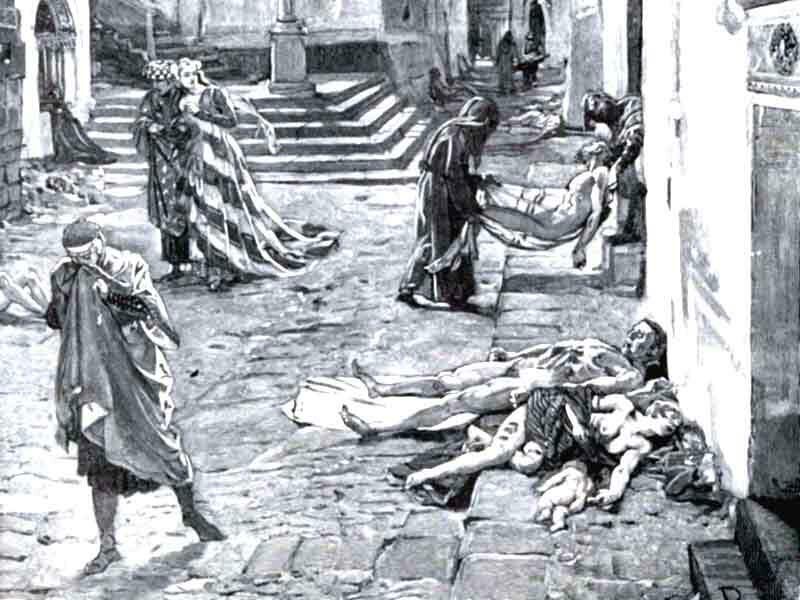 Spreading throughout the Mediterranean and Europe, the Black Death is estimated to have killed 50–60% of Europe's total population. In total, the plague may have reduced the world population from an estimated 450 million down to 350–375 million in the 14th century. The world population as a whole did not recover to pre-plague levels until the 17th century. Madagascar is currently in the grip of an unfolding epidemic, with hundreds of people infected with the pneumonic plague. What led to the outbreak, and how can health authorities prevent its spread? Because the plague is endemic to Madagascar, outbreaks are not unusual. But this year, the outbreak emerged much earlier than usual and has spread in a unique manner. According to the World Health Organization, the outbreak was first identified after a 31-year-old man died in the Ankazobe District of the Central Highlands. As is common procedure following a suspected infectious disease death, the Ministry of Public Health began investigating the man's close contacts to ascertain if a wider health problem existed. And they soon discovered a spiralling infection trail. Since August it's estimated that at least 124 people have died, and an additional 1,192 infection cases have been logged. There have also been around 70 cases of bubonic plague, but it is the much more virulent pneumonic plague that has authorities worried. Pneumonic plague is considered the most aggressive form of the disease, as it can spread through person-to-person contact. Otherwise known as lung-based plague, the disease arises when an advanced infection moves to a person's lungs. At this stage, the sufferer can then infect others via coughing or sneezing. Incubation time is very short - just 24 hours in most cases - and if untreated the pneumonic plague is always fatal. Stephane Michaud, director of emergencies at the Canadian Red Cross, told The Globe and Mail that the situation is under control - at least in the short term: "For now, they are able to handle the clinical caseload of plague, and the main effort is at the community level to prevent further spread of the disease." While the World Health Organization believes the risk of a worldwide epidemic is low, the threat to local regions could escalate if global health authorities do not properly address this crisis. Antananarivo and Toamasina, the two largest cities in Madagascar, have experienced the greatest concentration of infections to date. Densely populated urban areas pose challenges for disease control efforts because of the difficulty in isolating infections. Additionally, cities tend to have more people travelling through to other regions, further increasing the risk of the pneumonic plague spreading beyond Madagascar. At present, nine countries have reported cases of the plague, with the Seychelles Islands among them. A number of vacationers flock to this region, so while the global risk remains low, heightened screening procedures may be put in place for some tourists as they return to their home countries. Even so, it's unusual for the plague to spread via long-distance air travel due to the short window of incubation. Generally, infected people will be too ill to travel or can be easily isolated. The good news is that the plague is highly treatable with antibiotics, and around 780 people have been cured since August 1. Furthermore, six of the affected districts in Madagascar have now reported zero cases for at least 15 days, meaning that the transmission risk in those regions is under control. And despite an unusually high number of infections, the outbreak is behaving in roughly the same way as local authorities observe every year. Therefore, if health officials can contain these infections, there's every reason to think that this situation can be resolved relatively swiftly. Such action hinges on international aid to ensure that Madagascar's authorities have all the necessary tools to stop the plague in its tracks. A global appeal for a further $5.5 million is underway to fund health centres, antibiotics deployment and more.